a generation of old Jewish pensioners overlooked a monumental expanse of sand leading to the Atlantic. 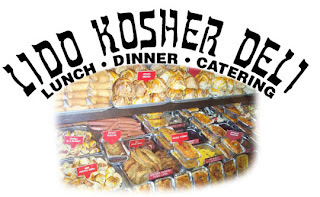 It’s from Lido Beach that the Lido Kosher Deli gets its name. East Park Avenue is one of the main thoroughfares that runs parallel to the ocean and the deli. The take out menu describes the Lido as being “Sandwiched between Neptune & Roosevelt Blvd. at 641 -1/2 East Park Avenue." The Lido could have played a cameo in the Dillon movie, as it hearkens back to an era in which people actually talked about the real things in life over an overstuffed Pastrami sandwich, no matter that the denouement in The Flamingo Kid occurs Larry’s Fish House whose motto is “Any Fish You Wish.” Speaking of conversation, no can give lip to the Lido's tongue which is the best in the world. If all tongue was like the one served at the Lido Kosher Deli, we’d be at a loss for words, since this tongue literally melts in your mouth. The Irish pride themselves on their corned beef and cabbage as well as their great poetry, but the corned beef at the Lido is a form of kosher poetry that’s in a class all by itself, a fundamentally heavy food that defies gravity. 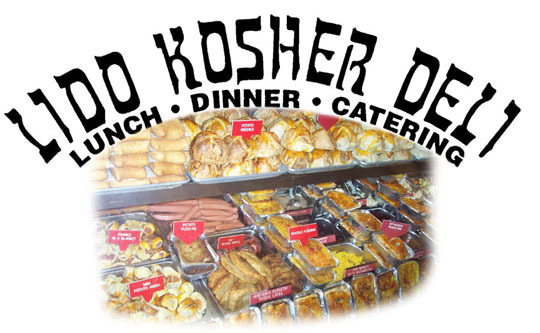 Milan Kundera should write a sequel to The Unbearable Lightness of Being centered around the Lido Beach Kosher Deli’s corned beef, called The Unbearable Lightness of Corned Beef.